Each reusable tin features a versatile mix of watersoluble media, including watercolor pencils, Inktense pencils, and Inktense blocks. 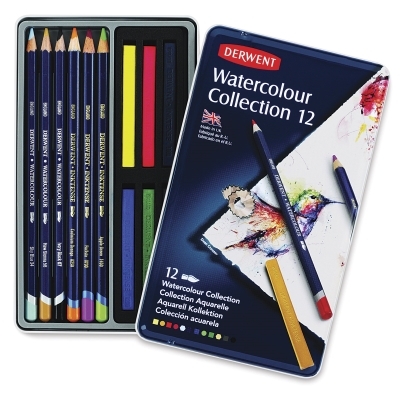 The set of 12 includes a watercolor brush. The set of 24 includes a watercolor brush and an 8B Dark Wash watersoluble sketching pencil.